← P100 Home Searches—Where’s the Fraud? 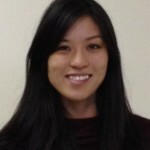 April 11, 2014–Hilda Chan is Soros Justice Advocacy Fellow and was at PILP from September 2013 to April 2014. We were tremendously honored to have her as a part of our organization. We wish her luck in continuing the fight to end Project 100% and protecting the rights of families in San Diego. In 2006, when Hilda Chan was in college, she began volunteering at San Diego’s Supportive Parents Information Network (SPIN), a grass roots, welfare rights advocacy organization made up of San Diego families on welfare. Since 1997, San Diego had been operating an “anti-fraud” program called Project 100% (P100). Under that policy, all families applying for CalWORKs had to submit to warrantless, suspicionless, unannounced home searches by District Attorney Investigators as a pre-condition to receiving aid. SPIN’s founder and director, Joni Halpern, had been instrumental in the early stages of fighting against Project 100% (P100), advocating for needy families harmed by the searches, and collecting stories. By the time Hilda arrived at SPIN, a lawsuit challenging these suspicionless home searches as unconstitutional was well underway. The lawsuit, Sanchez v. San Diego County was brought by the ACLU and Western Center for Law and Poverty. Both friends and colleagues at SPIN had a very personal stake in seeing home searches defeated through the Sanchez lawsuit. Most of the plaintiffs in the Sanchez case were SPIN mothers who had been subjected to these terrifying and humiliating searches. Every single family supported by SPIN had experienced invasive home searches. One woman was accused of failing to report income after an investigator insisted some boots found in her home were “work boots.” Single parents busy with work, school and parental obligations have missed the two surprise visits, resulting in a denial of their request for benefits. A teenager witnessing the search thought her mother was going to be taken away, so she began formulating a plan to become the caretaker of her younger siblings. Families have been erroneously denied aid when investigators pointed to an extra toothbrush or boxer shorts as evidence of fraud. One newly homeless family who had just fled from domestic violence was denied because they could not prove they temporarily resided at a relative’s home; they had taken only a few belongings with them in their haste. One woman said the investigator was the nicest person and was clearly embarrassed about having to search the home, apologizing, “I’m sorry, but it’s my job.” Many families have reported home searches and interrogations that have lasted an entire hour. Investigators have searched dirty hampers, medicine cabinets, closets, under beds and behind furniture. Many homeless families fear that their children will be taken away if the investigator witnessed their deplorable living conditions. Unfortunately, the Sanchez challenge failed in the trial court and at the Ninth Circuit Court of Appeals (Sanchez decision). But for SPIN, the fight wasn’t over. SPIN started planning for alternate ways to bring an end to this policy, outside of the courts. After law school, Hilda returned to work at SPIN as an attorney. When the time came to decide on a post-graduation project at SPIN, Hilda wanted to move the fight to end P100 home searches to the public policy arena, building support for a more humane, fiscally sound policy. Fortunately, Open Society Foundations decided to fund Hilda’s project through the Soros Justice Fellowship Program. The Fellowship project challenges the home searches by exposing them as not cost effective and bad public policy. Hilda’s research shows that P100 does not detect or deter attempted fraud as well as targeted fraud deterrence efforts and is not cost-effective. At least $28.5 million scarce welfare dollars have been diverted away from needy families to fund the District Attorney’s Office’s costs for this program. The searches are extremely invasive, humiliating and traumatizing for children and parents, and cause substantial delays in the county’s ability to provide critical assistance to families in crisis. San Diego County must return to the smarter, universally-accepted policy of using targeted home searches of families applying for aid. No other locality in the nation employs a blanket search policy that commits resources to the investigation of families with no discrepancies in their applications. Los Angeles County, which had a similar blanket policy, returned to a targeted home search policy in 2009 because they uncovered fraud in less than one-half-percent of homes searched. They knew it wasn’t cost-effective, so they stopped it. San Diego County needs to do the same. At the outset of the fellowship, SPIN was forced to close its doors after operating 15 years as an incredibly effective, all-volunteer community organization. It’s been a huge loss to the San Diego community. This policy has persisted since 1997, and San Diego is still the only county in the nation that imposes blanket, rather than targeted, investigations. Dismantling P100, which has been entrenched for 16 years in a very conservative county, was never going to be an easy fight. It will take continued efforts, even after the end of this fellowship. But the groundwork for those future efforts could not have been accomplished without the work of tireless advocates at SPIN, ACLU, WCLP, and now, PILP. Hilda’s full report is available here. This entry was posted in Staff Announcements. Bookmark the permalink.